No matter who wins the election, our next president will probably take us back to the nuclear threshold. Once upon a time, when choosing a new president, a factor for many voters was the perennial question: “Whose finger do you want on the nuclear button?” Of all the responsibilities of America’s top executive, none may be more momentous than deciding whether, and under what circumstances, to activate the “nuclear codes”—the secret alphanumeric messages that would inform missile officers in silos and submarines that the fearful moment had finally arrived to launch their intercontinental ballistic missiles (ICBMs) toward a foreign adversary, igniting a thermonuclear war. Until recently in the post–Cold War world, however, nuclear weapons seemed to drop from sight, and that question along with it. Not any longer. In 2016, the nuclear issue is back big time, thanks both to the rise of Donald Trump (including various unsettling comments he’s made about nuclear weapons) and actual changes in the global nuclear landscape. For most election observers, however, the matter of personal character and temperament has dominated discussions of the nuclear issue, with partisans on each side insisting that the other candidate is temperamentally unfit to exercise control over the nuclear codes. There is, however, a more important reason to worry about whose finger will be on that button this time around: at this very moment, for a variety of reasons, the “nuclear threshold”—the point at which some party to a “conventional” (non-nuclear) conflict chooses to employ atomic weapons—seems to be moving dangerously lower. 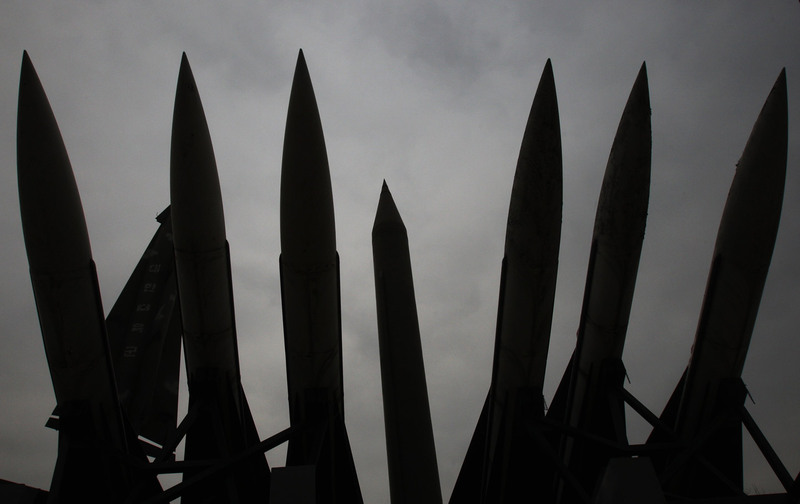 Not so long ago, it was implausible that a major nuclear power—the United States, Russia, or China—would consider using atomic weapons in any imaginable conflict scenario. No longer. Worse yet, this is likely to be our reality for years to come, which means that the next president will face a world in which a nuclear decision-making point might arrive far sooner than anyone would have thought possible just a year or two ago—with potentially catastrophic consequences for us all. No less worrisome, the major nuclear powers (and some smaller ones) are all in the process of acquiring new nuclear arms, which could, in theory, push that threshold lower still. These include a variety of cruise missiles and other delivery systems capable of being used in “limited” nuclear wars—atomic conflicts that, in theory at least, could be confined to just a single country or one area of the world (say, Eastern Europe) and so might be even easier for decision-makers to initiate. The next president will have to decide whether the U.S. should actually produce weapons of this type and also what measures should be taken in response to similar decisions by Washington’s likely adversaries. During the dark days of the Cold War, nuclear strategists in the United States and the Soviet Union conjured up elaborate conflict scenarios in which military actions by the two superpowers and their allies might lead from, say, minor skirmishing along the Iron Curtain to full-scale tank combat to, in the end, the use of “battlefield” nuclear weapons, and then city-busting versions of the same to avert defeat. In some of these scenarios, strategists hypothesized about wielding “tactical” or battlefield weaponry—nukes powerful enough to wipe out a major tank formation, but not Paris or Moscow—and claimed that it would be possible to contain atomic warfare at such a devastating but still sub-apocalyptic level. (Henry Kissinger, for instance, made his reputation by preaching this lunatic doctrine in his first book, Nuclear Weapons and Foreign Policy.) Eventually, leaders on both sides concluded that the only feasible role for their atomic arsenals was to act as deterrents to the use of such weaponry by the other side. This was, of course, the concept of “mutually assured destruction,” or—in one of the most classically apt acronyms of all times: MAD. It would, in the end, form the basis for all subsequent arms control agreements between the two superpowers. That historic agreement—the first to eliminate an entire class of nuclear delivery systems—banned the deployment of ground-based cruise or ballistic missiles with a range of 500 and 5,500 kilometers and required the destruction of all those then in existence. After the collapse of the Soviet Union, the Russian Federation inherited the USSR’s treaty obligations and pledged to uphold the INF along with other U.S.-Soviet arms control agreements. In the view of most observers, the prospect of a nuclear war between the two countries practically vanished as both sides made deep cuts in their atomic stockpiles in accordance with already existing accords and then signed others, including the New START, the Strategic Arms Reduction Treaty of 2010. In response, NATO strategists have discussed lowering the nuclear threshold themselves, arguing—ominously enough—that the Russians will only be fully dissuaded from employing their limited-nuclear-war strategy if they know that NATO has a robust capacity to do the same. At the very least, what’s needed, some of them claim, is a more frequent inclusion of nuclear-capable or dual-use aircraft in exercises on Russia’s frontiers to “signal” NATO’s willingness to resort to limited nuclear strikes, too. Again, such moves are not yet official NATO strategy, but it’s clear that senior officials are weighing them seriously. As a result, the next president will have to grapple with nuclear weapons issues—and possible nuclear crises—in a way unknown since the Cold War era. Above all else, this will require both a cool head and a sufficient command of nuclear matters to navigate competing pressures from allies, the military, politicians, pundits, and the foreign policy establishment without precipitating a nuclear conflagration. On the face of it, that should disqualify Donald Trump. When questioned on nuclear issues in the first debate, he exhibited a striking ignorance of the most basic aspects of nuclear policy. But even Hillary Clinton, for all her experience as secretary of state, is likely to have a hard time grappling with the pressures and dangers that are likely to arise in the years ahead, especially given that her inclination is to toughen U.S. policy toward Russia.